Engineering Surveys are carried out to provide both vertical and horizontal details over your land to facilitate the further engineering design of roads or servicing. If instructing firstly have a look at those links relating to Survey Fees, Terms of Contract and Survey Methology. 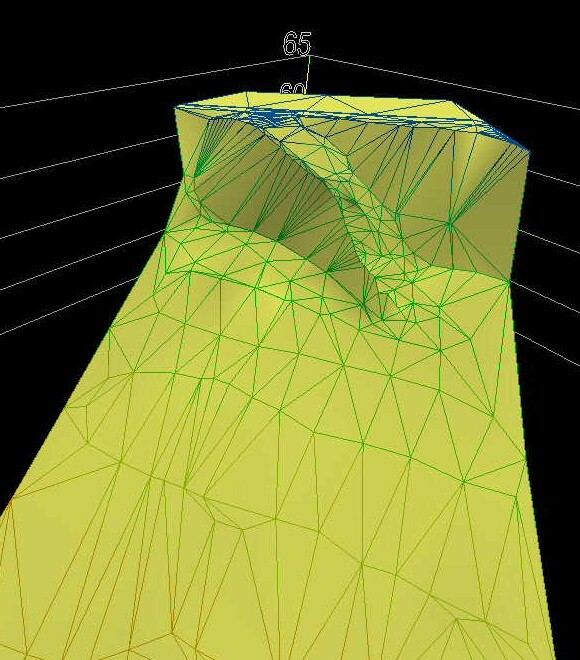 A DTM (Digital Terrain Model) is usually the digital result of such a survey, making it possible for other associated consultants to process the field information. When viewing the example to the right, the image is an image of the digital information that is provided to other consultants. Note the digital depiction of the driveway running down the embankment.